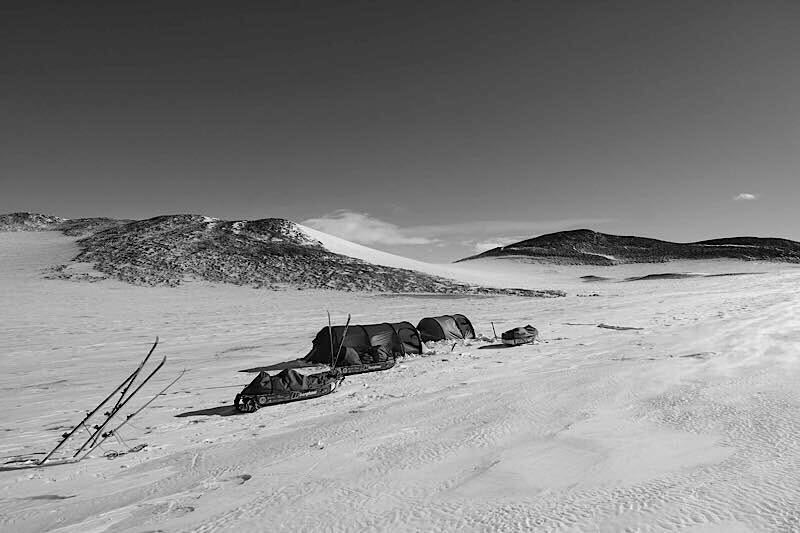 “Snow kiting ere is so ‘ard!”, said Jean when we finally found a good spot to make camp. This will have to brief because I’m very tired, but in nutshell. The morning went fairly smoothly on a tricky downwind tack. 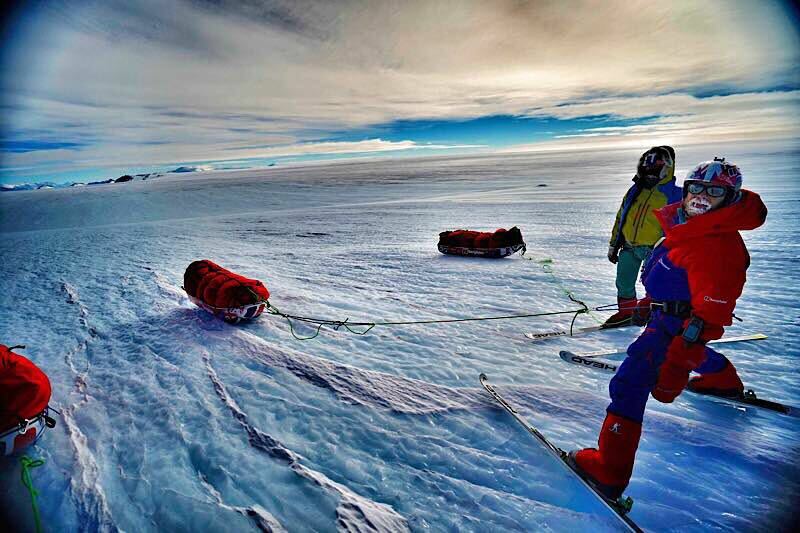 Then we hit blue ice, through pressure ridges and down a significant descent. Wind compression on the steep descent with a heavy pulk on the blue ice is best described as pretty spicy! We certainly won’t be going back that way. We made it through after putting the kites down and found a nice camp spot on the snow right below the Graves Nunatuks. Psyched to be with such a string crew. 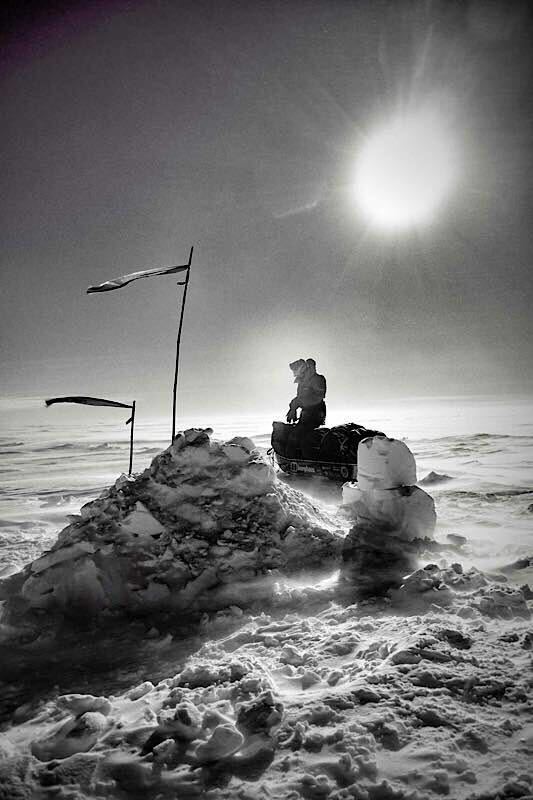 We are officially off the polar plateau and are entering the trans Antarctic mountain range! Next section looks good as we begin our descent down the Robison Glacier and on to the Scott Glacier Spectacular terrain. We are less than 100km from the Spectre. Hi guys, nice slipering blue ice 😉 Should be a good feeling to see the Transantarctic mountains ! Jean is not wrong! Sounds extremely complicated, technical, and hazardous. But the Spectre will be in sight soon hopefully. Great stuff guys, wishing you the best of good fortune. Less than 100Km! Psyched for ya! Malo proposes a new project for the next one: a crossing of the Antarctic in ice skating and leotards …Please, work on your triple loots! Great news and great photos – is that the new ice moustache and beard look? Could catch on. tout ira bien, et le vent vous emportera !